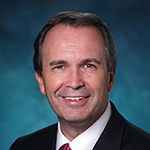 Steve Bilbo began his mortgage banking career in South Florida in 1984. Since then, Steve and his Palm Beach County team have helped countless families find the right home loan and achieve the American Dream of homeownership. He offers the perfect combination of local service and products for his clients at Seacoast Bank. Steve’s eye for detail and background in underwriting provide him the experience and know-how to identify issues and address his clients’ needs upfront. Steve has the experience and skill to assist you in finding just the right home lending option for the home of your dreams. Whether you have the ideal lot picked out for your dream home or are just beginning the search for a home, Steve can help you choose the financing product that is right for you. Because lending decisions at Seacoast Bank are made locally, closing can be fast, with no surprises. Offering exceptional customer service and an understanding of the entire process, Steve and the Seacoast team can answer your questions and remove potential roadblocks before they become issues. Steve Bilbo’s office is located between I-95 exit 79A and US Highway 1 in front of The Gardens Mall, at 3001 PGA Boulevard in Palm Beach Gardens. Stop by or call Steve at (561)-309-7416 to learn more about our mortgage programs and get started today!